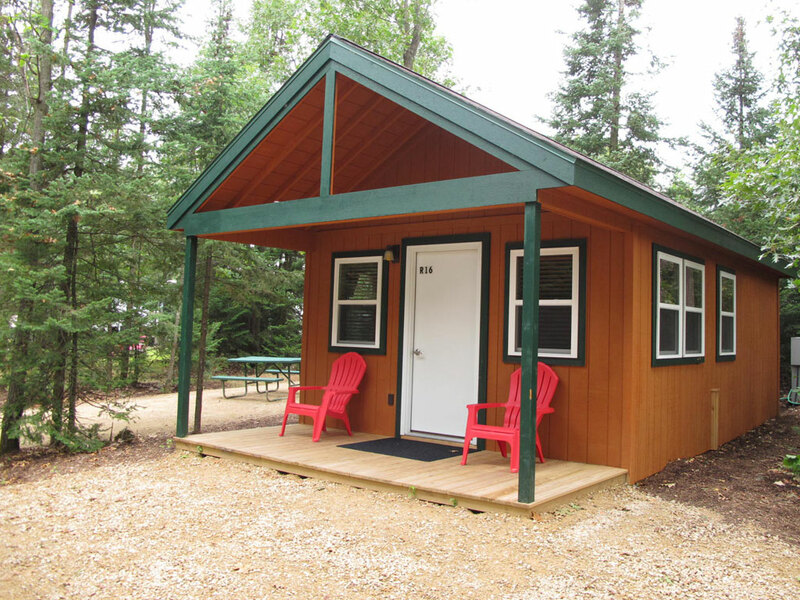 Smokey Hollow Campground has deluxe cabins available! 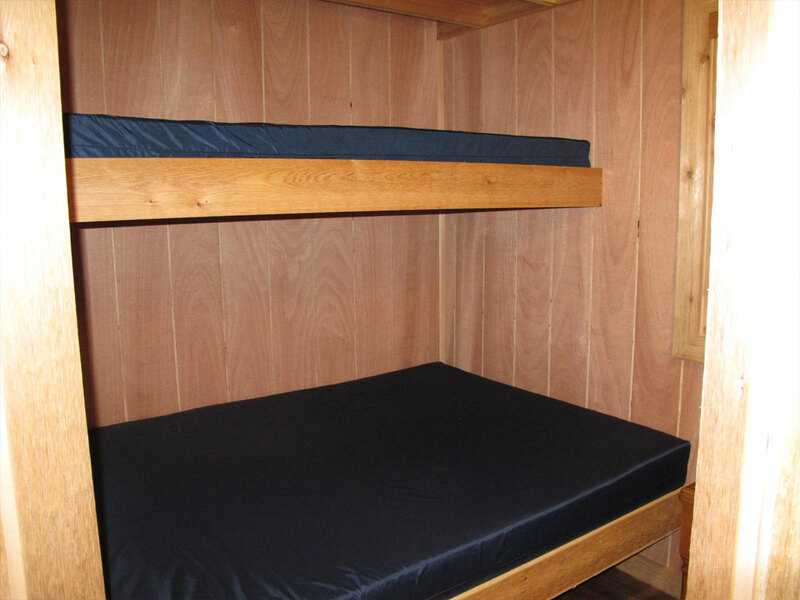 Our deluxe cabins sleep 6 and are equipped with the following: Bedroom with a bunk that has a twin on top and full on bottom. Double sleeper sofa and loft. 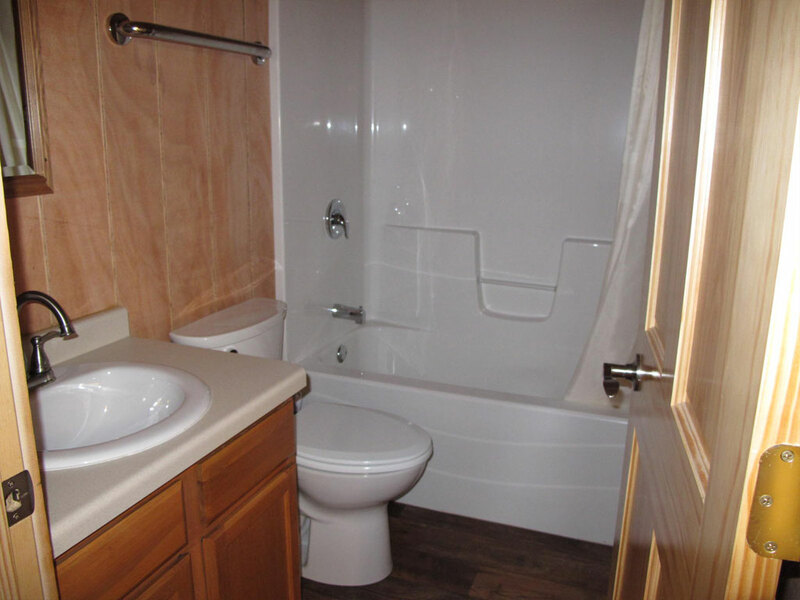 Full bathroom and kitchen. 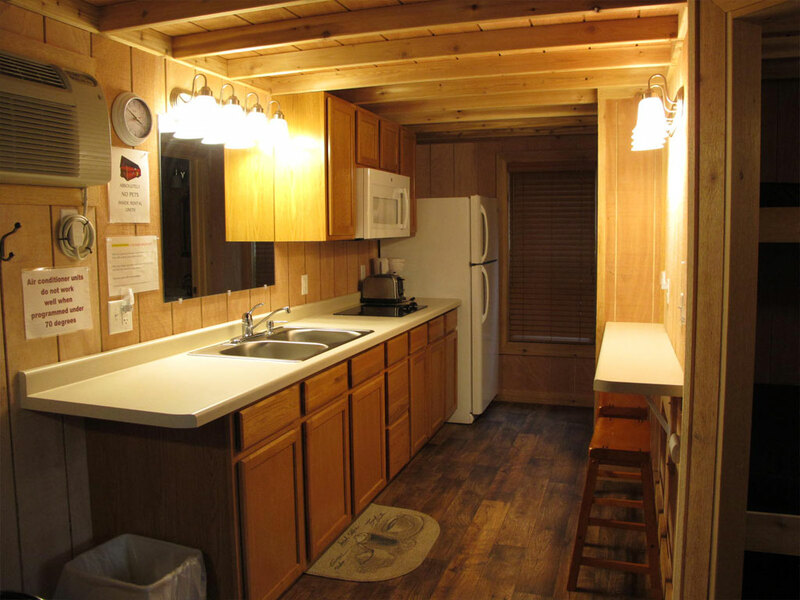 Kitchen comes with cooktop but no oven. 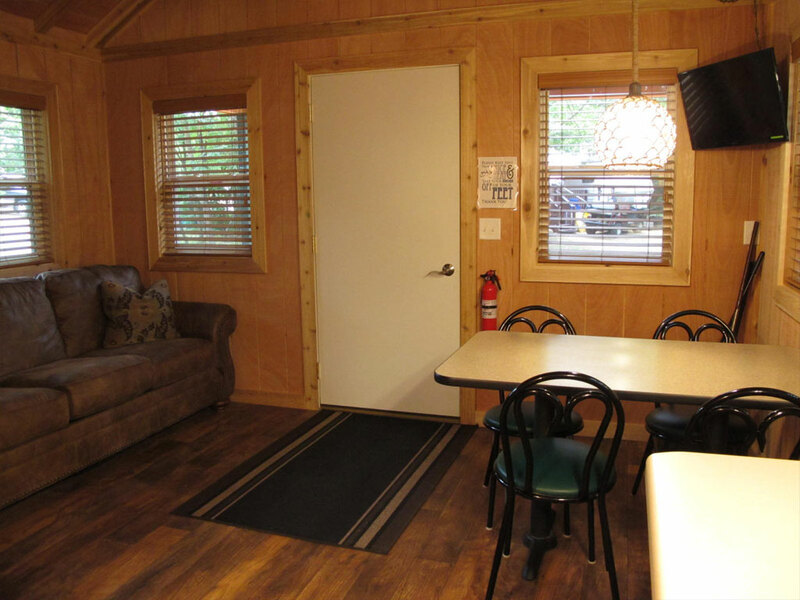 Also equipped with with ceiling fan, DVD, and AC/Heat. 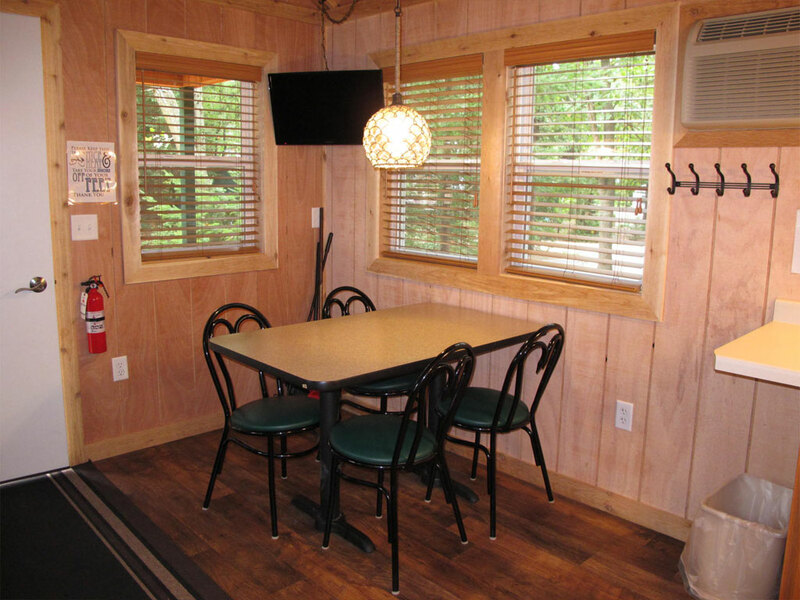 Each cabin has a 5-foot covered porch, and includes a picnic table, charcoal grill and fire ring.